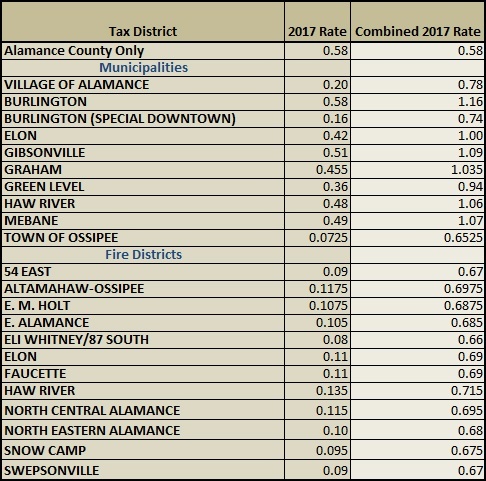 How Much Are Property Taxes in Alamance County? 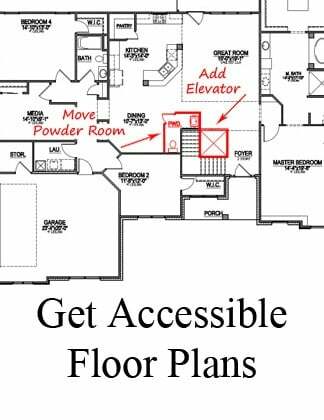 Where is Alamance County? Alamance County is located to the west of Orange County and to the north of Chatham County. Alamance County encompasses Burlington, Elon, Graham, Haw River, Mebane, and Snow Camp. 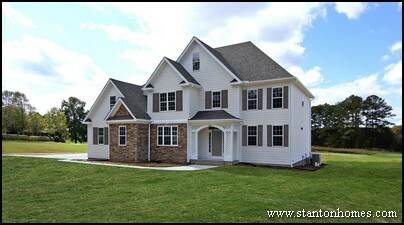 What are 2011 Property Taxes in Alamance County? 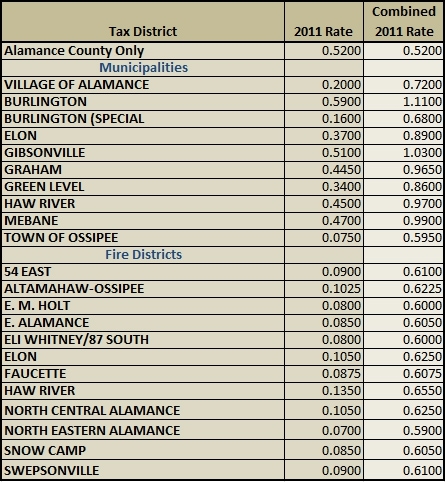 Here are the 2011 property tax rates, by town within Alamance County. 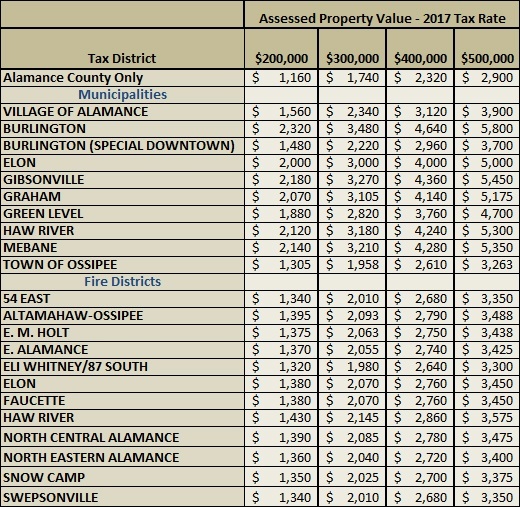 To get the total property tax rate for an Alamance County town, simply add the county tax to the town tax. 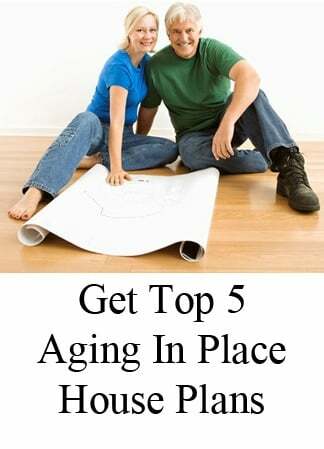 For example, Burlington has a town rate of .59, and the Alamance County rate is .52. 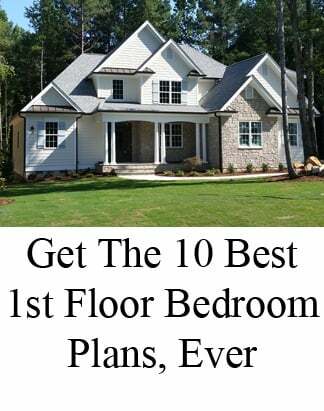 Then just add the two together - the total property tax rate for Burlington, NC is 1.110. 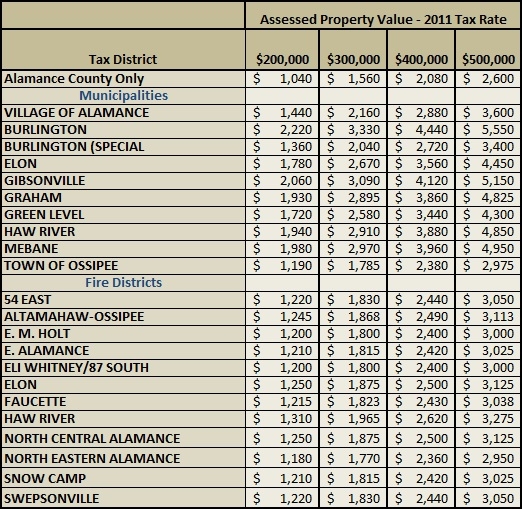 How Do I Find Out What This Alamance County NC Property Tax Chart Means? The Alamance County property tax chart is not as confusing as it looks. 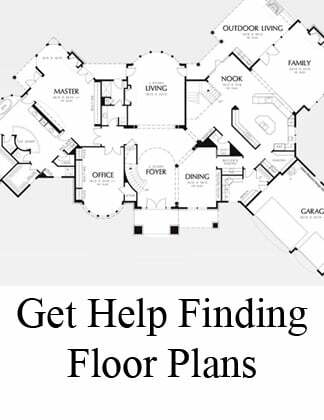 The tax rates are always based on the assessed value of the home, not the asking price, so you'll want to look up the assessed value, or ask your agent for it. 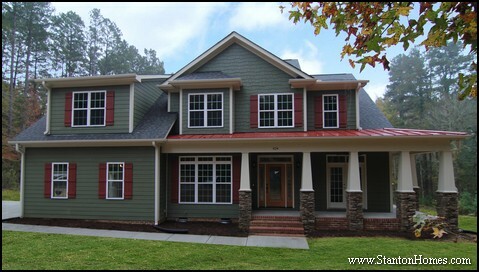 • The result will be your yearly Alamance County property tax bill, as of 2011.